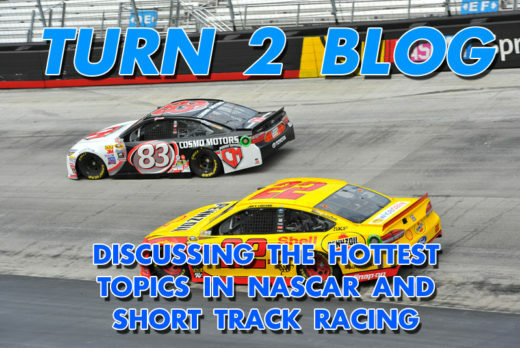 In this edition of the Turn 2 Blog we will be discussing five topics regarding short-track racing, whether it be on pavement or dirt. We are happy to be joined by one of the foremost authorities in short-track racing as Matt Weaver(@MattWeaverAW on Twitter) weighs in on our five questions. Matt is the proprietor of ShortTrackScene.com & provides regular contributions to AutoWeek. 1. What is the best thing short-track racing has going for it today? Michael Moats: For the most part, fans can still get close to the people in the sport. They aren’t hiding in a motorhome somewhere. The fans feel too excluded in NASCAR, unlike what it was 25 years ago. In short track racing, a fan can still buy a pit pass and see up close what the teams do to get ready to hit the track and they get to meet their favorite driver(s). Matt Weaver: I think, from covering NASCAR and IndyCar, that fans want an alternative. They want something that feels less polished and commercial, while being more sincere and raw. Be it dirt or pavement, short track racing feels closer to the spirit of what American motorsports has always been — relatable athletes competing under dangerous conditions for real stakes. 2. What aspect of modern-day short-track racing is in the most need of improvement? 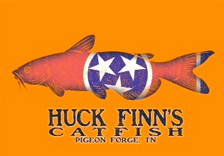 Richard: Michael and I harp on this particular topic frequently on our dirt racing site(InsideDirtRacing.com). Short tracks must find a way to become better time managers. Today’s society offers so many choices of things for people to do that if fans feel as though their time is being wasted they will spend their disposable dollars elsewhere. Matt: I’m not sure how much this applies to dirt racing but there are too many cars in the pavement world. Do we really need both an ARCA Racing Series and the K&N Pro Series? Do we really need a Late Model Stock and a Super Late Model? I just wish there were less options. There are enough racers to go around in 2019. I just think we do too much to split the pie. Michael: In addition to time management or too many classes looking the same, I would say two things. One, the purses need to get bigger. The cost of racing continues to rise while the purses remain relatively unchanged. Two, most facilities are in need of some upgrades or just overall maintenance. Let’s face it, there are too many tracks that are outright dumps. Just some pressure washing and fresh paint can make things feel a bit better. 3. What is the one event (or the one track) every short track fan must go to? Why? Matt: From a pavement standpoint, the Snowball Derby is always the answer, right? It has a little bit of everything. Friday features the most dramatic time-trials in all of motorsports. Bump Day is everything the Indy 500’s version used to feature. Saturday’s Last Chance Race is action-packed and dramatic, and a big name always goes home. And Sunday’s spectacle is unlike anything in Late Model racing. My secondary answers go to the Martinsville 300, Oxford 250, and the World Series of Asphalt during Daytona Speedweeks. Richard: The Snowball Derby is definitely on my bucket list of races to go to. But my suggestion for fans who are looking for must-see races to attend is somewhat of a cop-out. Instead of naming one particular race, I am going to name a couple of series. Any fan of racing should make an effort to watch multiple events of one of the mini-series that run during a dirt racing season. 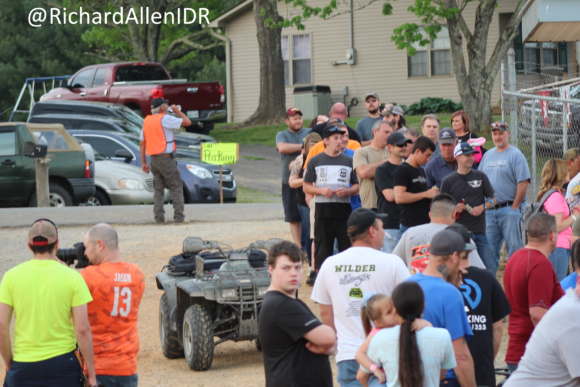 The Summer Nationals(or the so-called Hell Tour) has drivers and teams competing in as many as 30 races over the course of a month or so throughout the Midwestern states while the Southern Nationals sends teams on a journey that will see them race 10-12 times over the time span of just two weeks. These two tours make up a John Wayne-style True Grit form of racing that tests the durability of both man and machine. Michael: Maybe I’m saying this because it is still fresh on everyone’s mind, but I will say the Chili Bowl. There is a good mix of veteran Midget and Sprint Car drivers, young up-and-comers, and some NASCAR stars mixed in. It’s the only event I can think of that has all of these in the same place at the same time. 4. Who is the one short-track driver the “outside world” doesn’t know about but should? Richard: It may sound crazy to say that the reigning World of Outlaws Late Model Series champion isn’t very well known but once you barely step foot outside the Dirt Late Model racing world very few people have heard of Mike Marlar, or at least are fully aware of just how talented of a driver he really is. 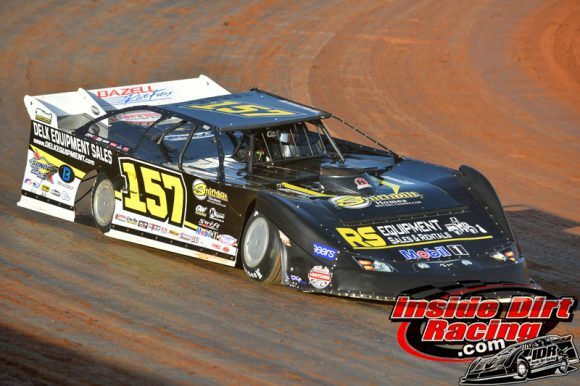 In what essentially amounted to his first real shot at running a full season on a national touring series, the Winfield, Tenn. racer earned the season-long title in 2018 by beating out two of the toughest drivers in the business in Chris Madden and Brandon Sheppard. Marlar has won some of the most prestigious events in the sport (Knoxville Nationals & Hillbilly Hundred) in only a limited number of opportunities. This year, he will be paired with engineer Kevin Rumley in what ought to be a very potent combination. Matt: Oh man, there are so many. But Stephen Nasse, to me, is the most interesting man in pavement racing. He’s complex. I think folks have started to learn more about him due to turning around on the track and taking out William Byron in the 2016 Snowball Derby. Or fighting Donnie Wilson at Pensacola. The shouting contest against Josh Brock at the Redbud. But he’s also a genuine guy, who is fiercely loyal to his friends and his family. Like I said, he’s complex. Michael: Aside from Scott Bloomquist. most of the outside world doesn’t know the top Dirt Late Model drivers. That is slowly changing. 5. What will it take for short-track racing to grow its audience? Michael: I think each series can do a better job of promoting and showcasing their drivers and their personalities. I’m not sure if some of it is lack of effort or lack of knowing exactly how to do it. While drivers are doing some of that themselves, many are not. Any series shouldn’t just say here is our list of drivers, then leave it at that. There are all kinds of ways to showcase these drivers- both their abilities and what makes them tick. Matt: I think this is an important five year period for short track racing. Like I said earlier, fans are looking for an alternative to big time motorsports. Promoters have to take advantage of social media and live streaming. If fans want something different, give it to them, and use the internet to do so. 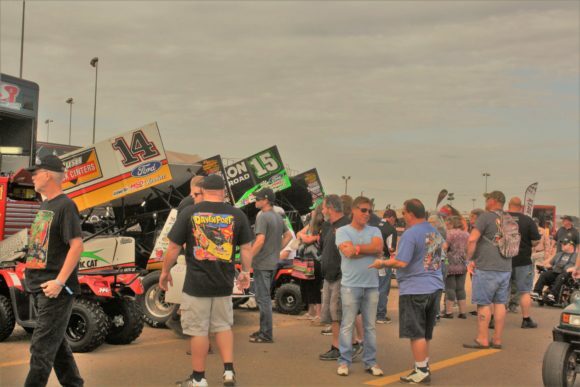 It’s never been easier to watch ‘grassroots’ motorsports like the World of Outlaws, USAC, CARS Tour, Southern Super Series and some of the biggest one-offs in the various disciplines. Promoters need to get their product in front of fans … and perhaps most importantly, the drivers need to take advantage of social media and establish their brands in front of a hungry audience. Richard: I couldn’t agree more with what Matt and Michael had to say. The track and series promoters of short-track racing, whether it be on pavement or dirt, have a great product for the most part. The challenge is to make people aware of that product. This is one area where NASCAR excels as that sanctioning body’s tracks, sponsors, teams and drivers are fully engaged in the promotion of the sport through social media and otherwise. The increasing number of Pay-Per-View broadcasts and racing specific cable and internet networks are also beneficial but promoters can’t sit back and wait on someone else to do the promoting for them. Everyone needs to be all-in over these next few years.